M.E.C. 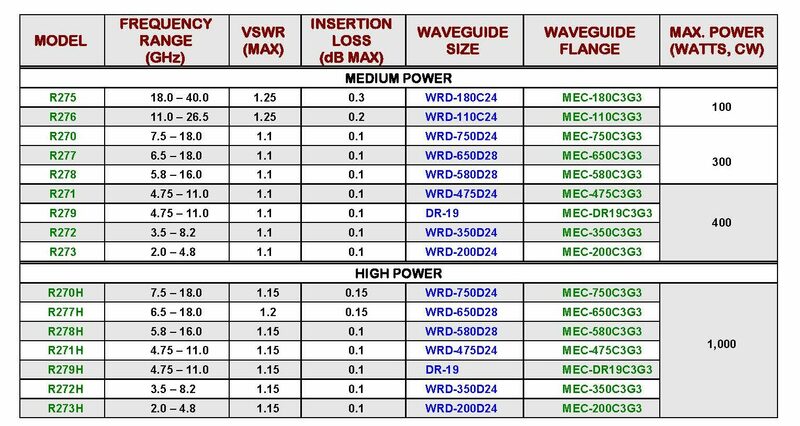 double-ridge waveguide pressure windows offer low reflection and insertion loss over a complete range of waveguide bands and perform exceptionally at high power. These pressure windows conform to standard flange dimensions, have gasket grooves on one side, and have clearance holes for installation between flanges. 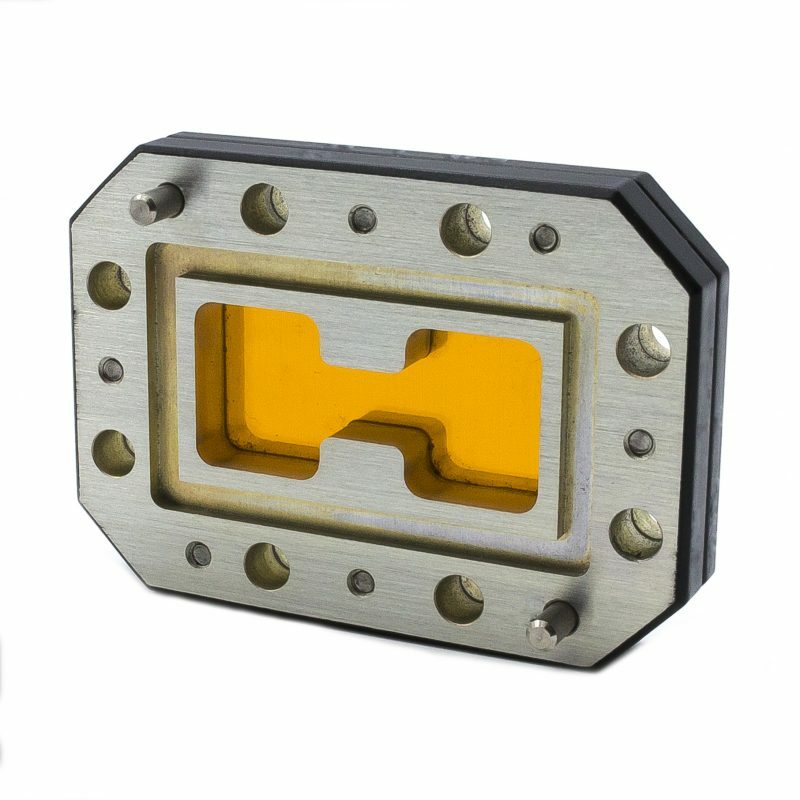 M.E.C.’s double-ridge waveguide pressure windows exceed MIL-E-5400, Class 2 requirements and have been extensively tested and qualified to withstand the most severe temperatures, altitudes, and high-power environments. The bodies are made of aluminum and possess chromate conversion finish per MIL-C-5541, Class 3. Special requirements can be accommodated upon request. (1) Order by model number and specify the desired frequency band. (2) Higher power, lower VSWR, or greater bandwidth requirements available upon request. (3) Please contact M.E.C. with your specific requirements. All customer designs are welcome.